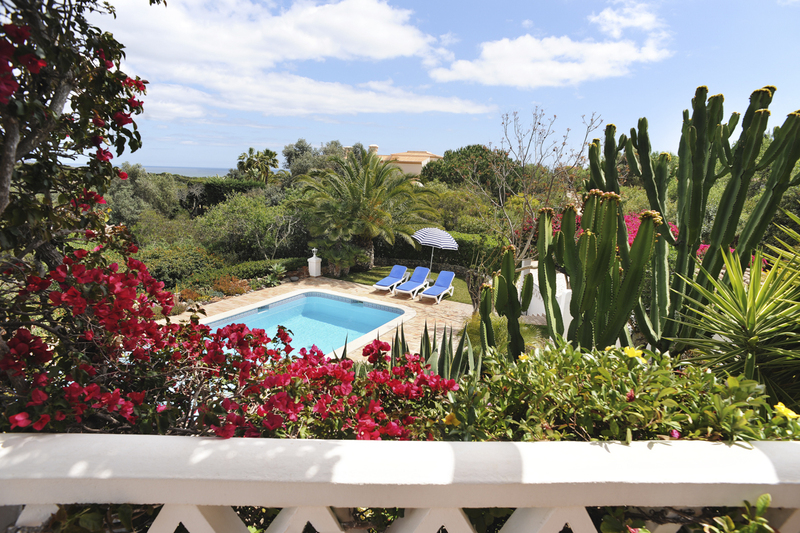 Villa Andressa is a majestic stand-alone villa within opulent, bright gardens in the charming village of Benagil, close to the vibrant tourist town of Carvoeiro. 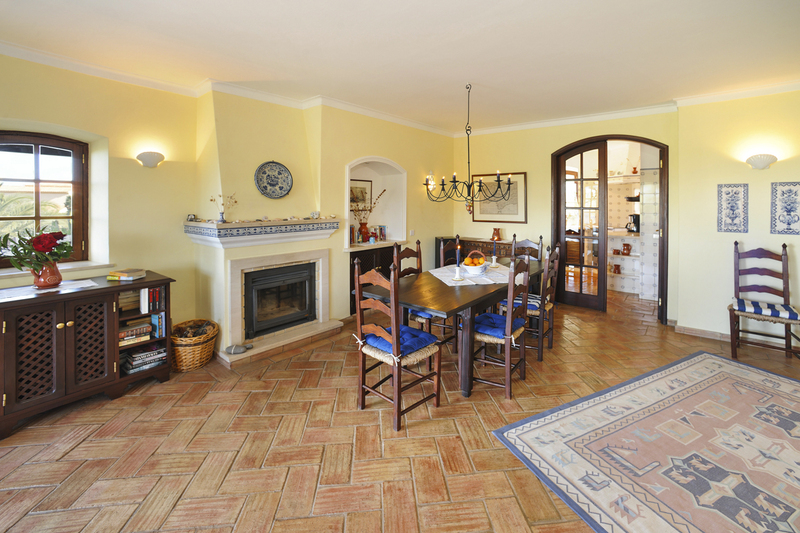 This prestigious home is set immaculately in his private, luscious land. Guests will stop to catch their breath after entering the wrought iron gates into this secluded oasis of colour and style. Bright flowering plants and fragrant blossoms frame this tranquil, superior villa, set back within its own private driveway. Stunningly finished, this two storey contemporary home offers the final word in luxury. It looks out on rolling country and ocean views. The ground floor offers a wonderful living space, comfortably and immaculately furnished, infused with natural light and views. The living spaces are airy and fresh, with many nods to the traditional - original stone work, large fireplace, farmhouse style kitchen and lovely ochre tones to name a few. 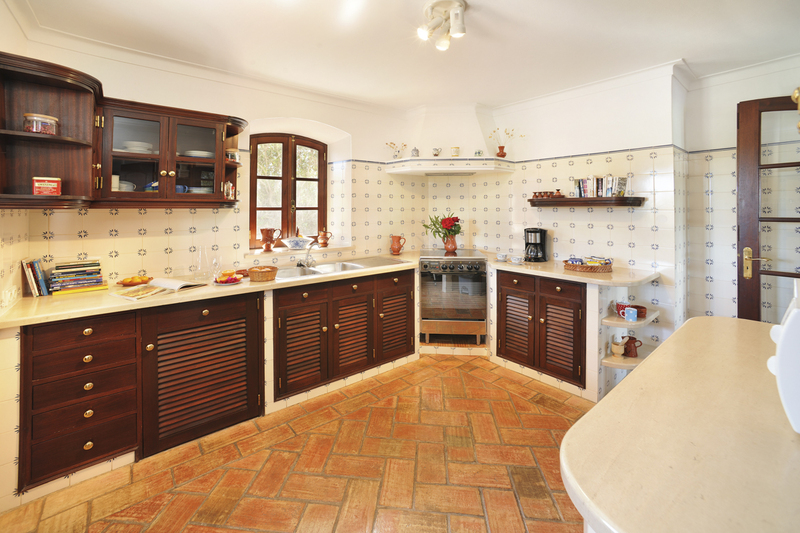 Villa Andressa manages to fuse an original, homey feel with all the finesse of luxury and style. The generous proportions, large well-equipped kitchen with breakfast table and large open plan dining space are exceptionally designed for family living. 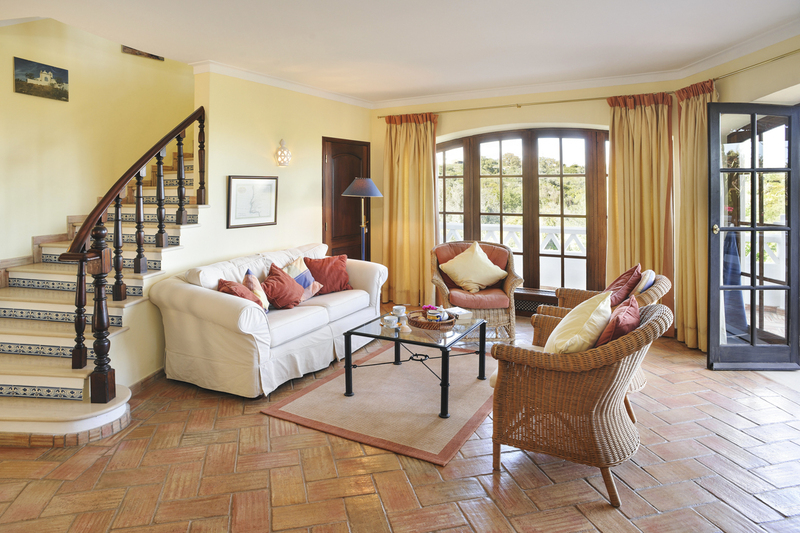 The first floor offers three wonderful suites; these are thoughtfully finished and provide bright, spacious and airy accommodation for families or groups. 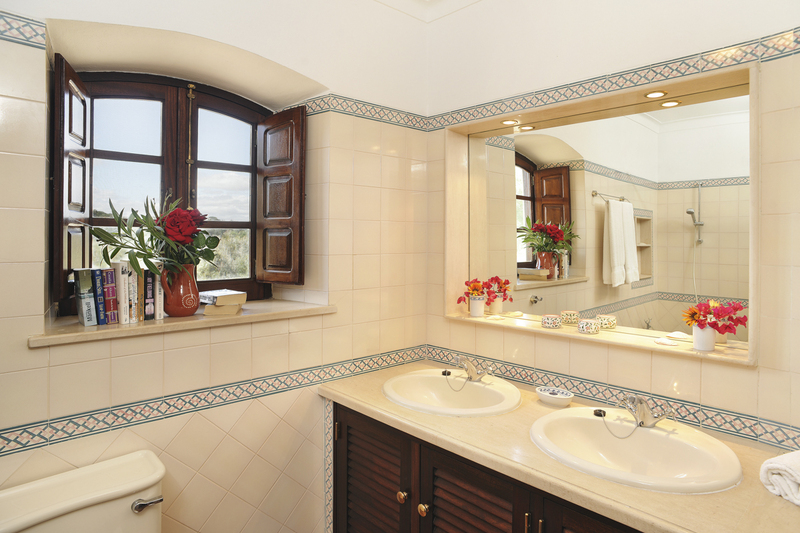 Two suites have twin beds, with ensuite shower or shower-bathroom; one of these leads onto the delightful roof terrace, offering subliminal views. 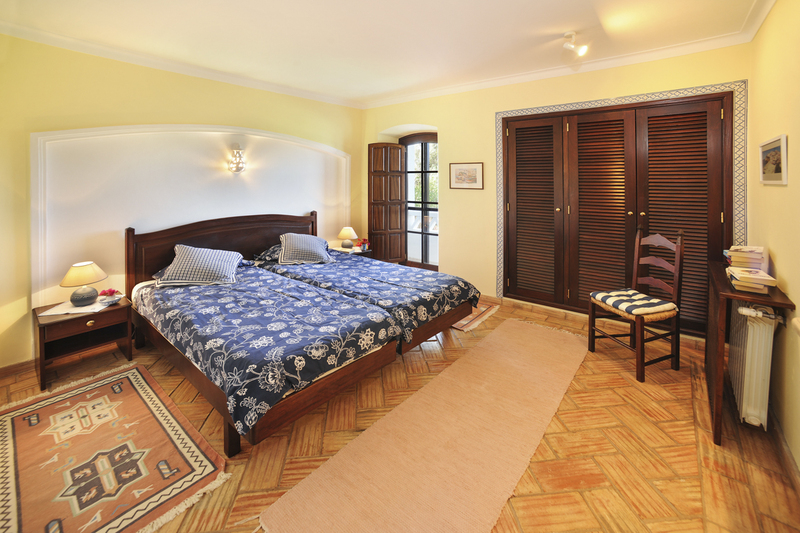 The third suite offers a double bed and ensuite bath-shower room. The outdoor spaces are unparalleled! Dining al fresco will be a pleasure. 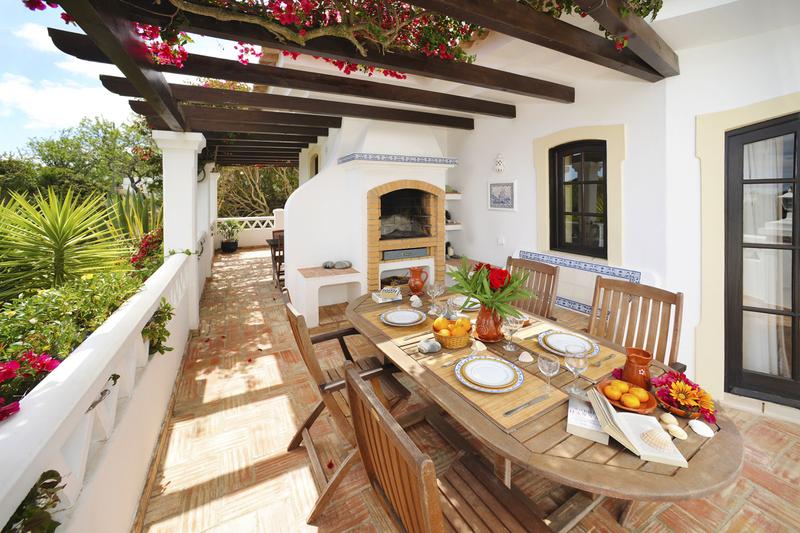 There is a wonderful wrap-around balcony-veranda with ample space for wonderful breakfasts or dinners. Imagine taking fresh morning coffee and pastries whilst looking across the far-reaching views, or an evening glass of wine with antipasti. The superb, sandy beach, Praia da Marinha, is a stone’s throw from the villa; this is considered one of Europe’s top beaches. The clear waters and long sandy stretches along with interesting coves make this an ideal family day out. The supermarket for provisions is a short distance away. Likewise, local family-run restaurants and bars for sampling the rustic cuisine of the region or seafood are only a few kilometres distance. 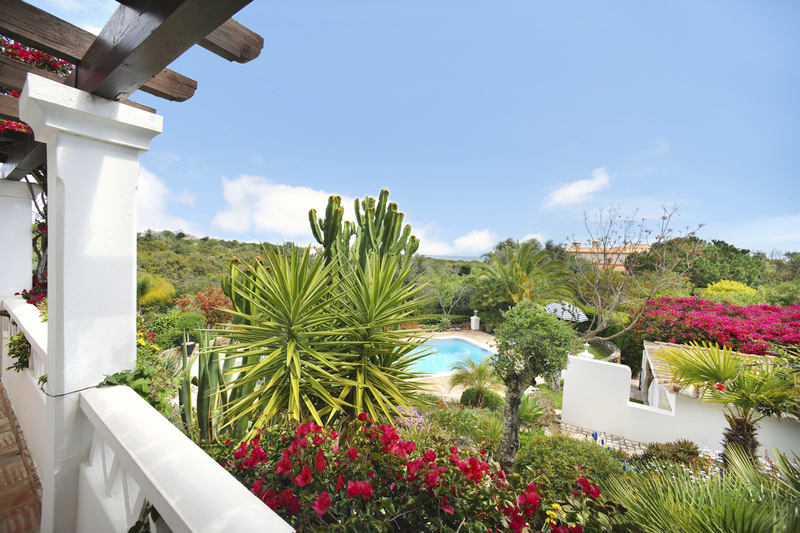 The local town of Carvoeiro is just five kilometres away; previously a sleepy fishing village it has now developed into a lovely, vibrant holiday location with plenty of attractions whilst not having a “resort” feel. 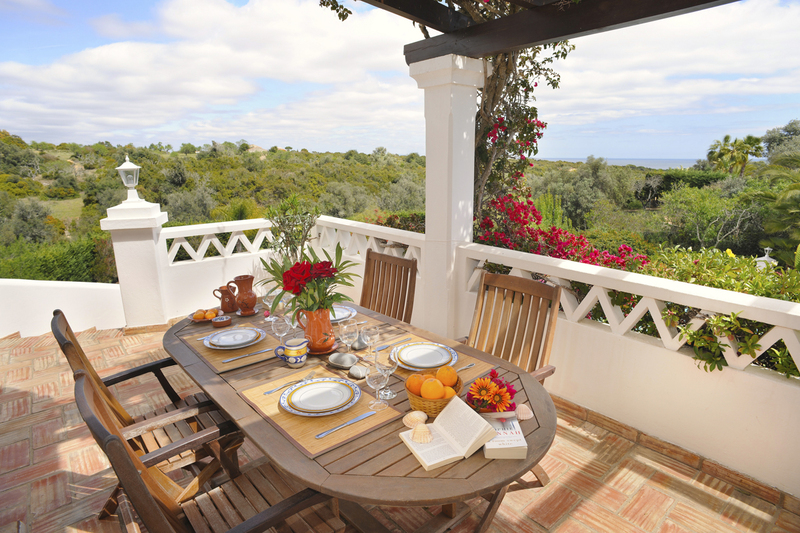 Faro airport is fifty six kilometres away; transfers can be arranged. The rugged cliffs around the coastline in this stretch of the Algarve are among the most beautiful in Portugal. There is ample opportunity for boat trips; a particular delight is taking the boat from Portimao’s harbour to visit the century’s old caves. There truly is something for everyone in this region: trekking, water sports, golf, horse riding - outdoors enthusiasts will be spoilt for choice! Further along the coast is the resort town of Albufeira. Albufeira is the liveliest and busiest town on Portugal’s beautiful southern Algarve coastline. Previously a modest fishing village, it is now a well known coastal town brimming with holiday potential. Traditional charm by way of original Moorish flair, the ‘Old Town’ offers a little taste of historic and sleepy small-town authenticity. A stone’s throw from the quiet white-washed streets you will find the dynamic and edgy “Strip” for a buzzing nightlife experience. This part of Portugal offers both ocean and mountains, vibrant city life as well as multiple rural pursuits; visitors of all ages will find plenty to entertain them. The area is one of outstanding natural beauty, much of it forming part of a conservation area. History buffs through to adrenaline seeking water sports lovers will not be short of opportunity. There is a reason why the region attracts more visitors, year after year.